The increasing role of Internet and the World Wide Web as a widely accessible health information source creates opportunities, along with challenges, for researchers, healthcare workers and organizations across the globe, enabling them to collect and analyze data to improving patient care, disease surveillance, and delivering online preventive or therapeutic interventions. 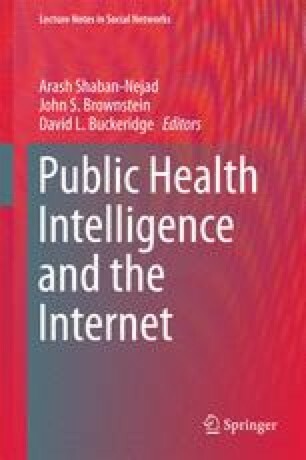 In this chapter, after reviewing some of the applications of Internet in public health, we analyze the use of online space in clinical trials, experiments, or observations performed in clinical research, in the United States. We provide visual analytics for health data and preliminary findings from a database that systematically comprises clinical trial records. Our study focuses on clinical trial data with an “online” component in its study design. We first parse out historical trajectories of online clinical trials since its first introduction to show the use of the Internet space in health studies.